Compare with normal online video or other videos, DVD has much better high quality video performance. And so is its audio quality. 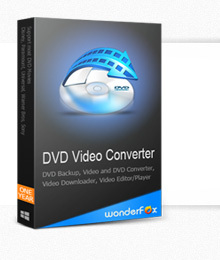 By using WonderFox DVD Video Converter, you can rip DVD to audio and convert to popular audio formats. WonderFox DVD Video Converter can remove DVD copy protection. It supports most DVDs like DVD5, DVD9, DVD+R/RW, DVD-R/RW and many other CSS encrypted DVDs or new copy technology prevented DVDs. Click “Load DVD” to load the DVD video source. This DVD converter enables user to convert DVD to most of audio formats. It offers MP3, AC3, AAC, WMA, WAV, MKA, OGG, AU, AIFF, FLAC and M4A as the options. After finish all settings as you like. Just easily click button “Run” to start the DVD to audio conversion process.